Vuzix CEO Paul Travers discusses the wearable company's new Blade glasses, how the Amazon partnership came about and the state of the AR-powered wearable market. If there's one prevailing trend at CES 2018 this year, it's that Amazon's (AMZN - Get Report) Alexa voice assistant is showing up in a lot more places than just your smart speaker. Plenty of devices are being taken over by Alexa, including light switches, TVs, refrigerators, mirrors and cars, but perhaps one of the most exciting additions involves the first-ever, Alexa-powered smart glasses. Enterprise-focused wearable maker Vuzix Corp. (VUZI - Get Report) is the company behind the glasses, called the Blade, that aims to bring Alexa right in front of your eyes. The $1,000 glasses are on display at CES in Las Vegas this week, but aren't expected to ship until the second quarter. Vuzix, founded in 1997, may have built a pair of augmented reality glasses that can finally help bring the technology to the masses. 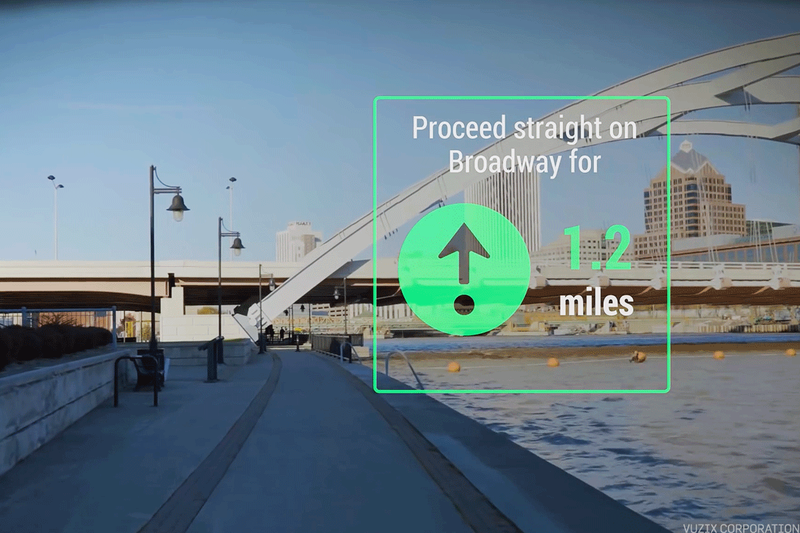 Prior attempts, such as Alphabet's (GOOGL - Get Report) memorable Google Glass, never took off, while others such as Magic Leap's mixed reality goggles or Microsoft's (MSFT - Get Report) HoloLens, have yet to be widely released. The $1,000 Blade isn't as cheap as Snap's (SNAP - Get Report) $130 Spectacles, but Vuzix expects to slash the price to less than $500 over time. The $1,000 Vuzix Blade is equipped with Amazon's Alexa voice assistant. The Blade connects to the internet using WiFi or via Bluetooth to an iPhone or Android device, which mirrors notifications and other activity on the Blade's lens via a small, floating screen in the corner of the wearer's field of vision. A Vuzix spokesperson noted that the Blade can handle just about any Alexa skill, and the glasses also work with other apps, like Google's Waze, to serve up step-by-step directions right on the screen. The Blade's design and interface try to remove a lot of the shortcomings of previous and current AR glasses. Unlike the Google Glass, which had intimidating glass and metal hardware, the Vuzix Blade is designed to look like a pair of Oakley sunglasses, with a convenient touchpad on the side of the frame that lets users take photos and swipe through and select notifications for incoming phone calls and text messages. It also weighs just three ounces, compared to Microsoft's 1.2 lb HoloLens, a detail that Vuzix CEO Paul Travers said was crucial in order for the Blade to be fit for everyday use. "We have the philosophy that if you make something that people don't want to wear, you've already failed," Travers said in a phone interview. Wall Street already seems to be optimistic about the Blade's future. Shares of Vuzix have skyrocketed more than 44% over the last five days since the Alexa-equipped glasses were announced on Friday. The stock continued to climb this week, with shares rising 2.9% to $9.00 on Wednesday early afternoon, bringing its market cap to about $218 million. TheStreet sat down with Travers this week to talk about the Vuzix Blade, how the Amazon partnership came about and the state of the AR-powered wearable market. Below is a condensed version of the conversation, which has been lightly edited for length and clarity. TheStreet: What's your assessment of the AR glasses market? Travers: In our opinion, most of our competitors today are using optics from the days of Copernicus. It's stuff that's refractive and reflective, lenses you might find in a telescope. If you look at Google, they realized they couldn't make the glasses look good while keeping the high quality images. Or you get Facebook's (FB - Get Report) Oculus with the big, big displays and big lenses, but you end up having your head in a bucket. There are few companies that have the optics to make these things look trim. Companies are trying to make a tour de force piece of technology. They load it up with stuff so that it's big and heavy. It all sits on the bridge of your nose and it feels like two Campbell's soup cans. TheStreet: How is the Vuzix Blade different from everything else that's out there? Travers: One of the unique things about the Blade is that it's three ounces and it gives you a field of view. It's got so much information on it but you can still interact with the real world. We haven't seen anyone else do that. Until you can solve that big, bulky, heavy, stupid look, it'll never be adopted by the mass market. HoloLens is cool, you can bolt a picture up on the wall, but give that to an employee on the plant floor and he'll laugh at you. So you'll find there's lots of research, but no real deployments happening. The Blade can serve up turn-by-turn directions from navigation apps like Waze on the glasses' lenses. TheStreet: You didn't mention Snap's Spectacles when you mentioned AR glasses. Why is that? Travers: I never really thought of Snap's glasses as an AR device. It took a custom formatted picture and it only ran for 10 seconds. It had all kinds of technical issues going back and forth with the phone. And it kind of failed too. TheStreet: When you talk about smart glasses hitting the mass market, another important factor is obviously price. How was that factored into the process with the Blade? Travers: There's an ecosystem in everything around the Blade. As that grows, as the apps grow, the more it becomes a mass market product. But right now, we're seeing amazing market opportunity in the enterprise. We didn't want to come out with a price point that's consumer-oriented when we know that the enterprise market will easily pay $1,000. That said, we have a pile of companies that have consumer applications for it, so as that grows and as volume grows, we'll end up coming out with a second generation product. When we do, the price for the first generation device will come down. TheStreet: How did the partnernship with Amazon come together? Travers: We've known the folks at Amazon for quite some time and have worked with them on enterprise applications, like their artificial intelligence engine. Some [Amazon] folks joined Vuzix in the last year, so through those connections, it was relatively easy to open the door and make the connection for Vuzix and our smartglasses. 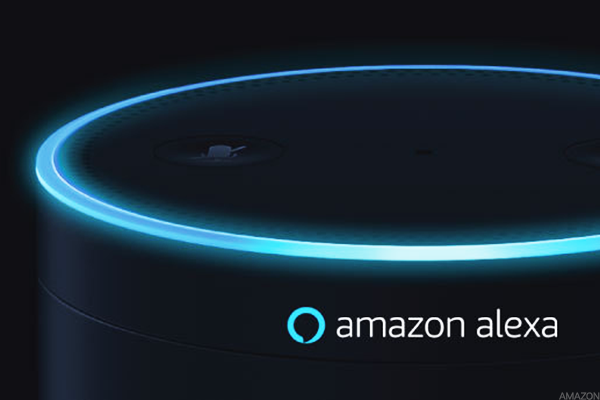 Until now, Amazon's Alexa voice assistant has been restricted to its smart speaker and some internet of things devices. You can imagine a lot of applications down the road that are beyond what Alexa can do now. You could stand in front of a concert poster and tell Alexa to buy tickets. Then, Alexa could come back and serve up an image on the Blade that shows you which seats are available. Alexa could then buy the tickets for you. Those are things you can't do with Alexa today. TheStreet: The Blade has generated a lot of excitement around Vuzix. Is M&A a possibility for you right now? Travers: There's lots of ways for value growth for shareholders and our focus is on building that value of Vuzix. In our opinion, we're really undervalued. If you look at companies like Magic Leap, they're worth billions of dollars. We're talking about a market that Apple (AAPL - Get Report) has said is worth billions of dollars. So we're focused on growing the value. Who knows, though, if someone steps up to buy us for a billion. But we're not shopping and we're not looking to sell. Facebook, Microsoft, Apple and Alphabet are holdings in Jim Cramer's Action Alerts PLUS Charitable Trust Portfolio. Want to be alerted before Cramer buys or sells FB, MSFT, AAPL or GOOGL? Learn more now.